National S’Mores Day is a thing, really! 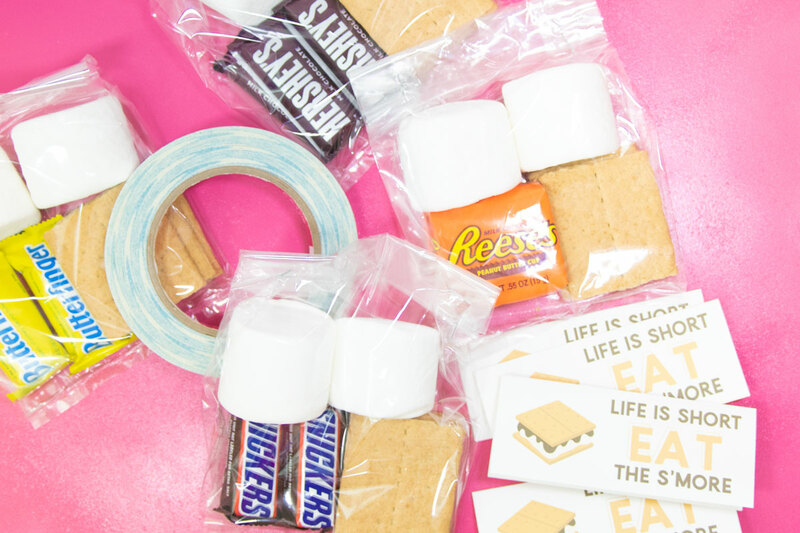 Create this easy sleepover gift basket complete with a free S’Mores printable to personalize for each camper. Craft Lightning starts this week and we’re so excited to have all these talented bloggers contributing to our week of quick, obscure holidays. 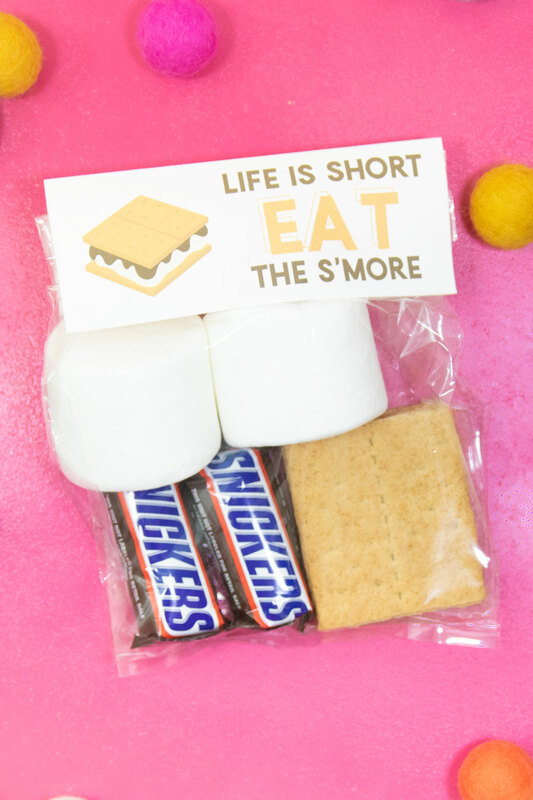 Grab this free s’mores printable to make your campout epic. National S’Mores Day is August 10th every year. That is prime camping season and I can’t think of a better or more fun way to go camping than with your own personal s’more pack. I don’t know where the actual word S’More comes from but I do know that it was a leader for a Girl Scout troop who was originally credited for the recipe. 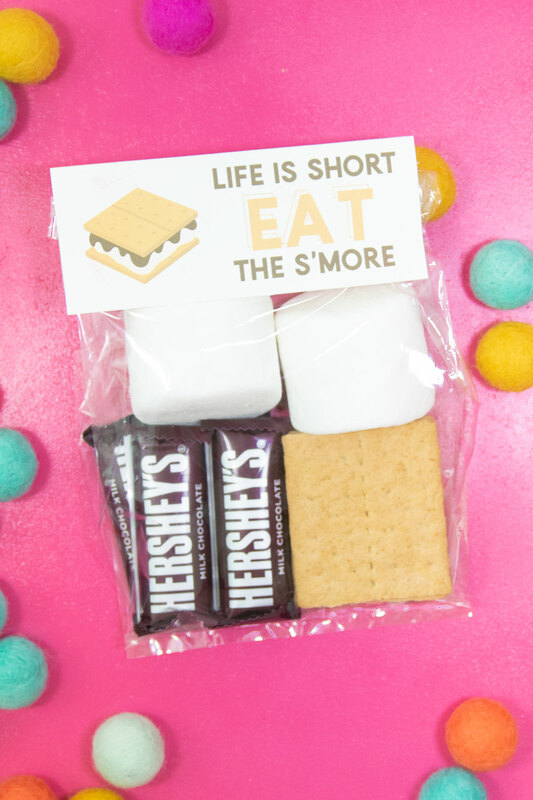 I love s’mores and I love even more different kinds of candy to include in your custom s’more. A great idea is to find out ahead of time and grab your guests’ favorite candy and include that as well as a standard Hershey Chocolate Bar. Yummy! 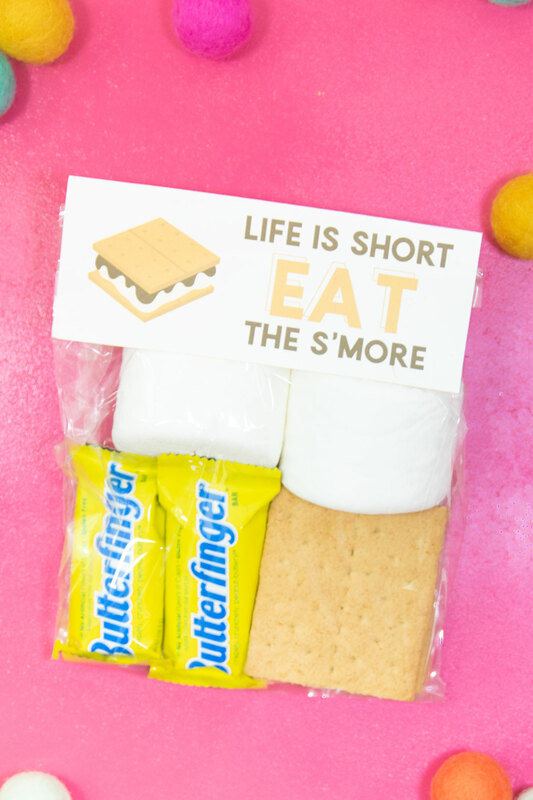 This free s’more printable is super easy to personalize. Just print and write. I’ve left the back of the s’mores bag topper blank so you can write whatever you need in that space. I love the tiny LePen markers but this year at Creativation, we all got to try their new brush pens and I’m hooked. A lot of brush pens are bulky and these are thin just like the original and I think that’s why I like them. I don’t mind using a stapler but I hate how they show on the edges. If you’re not a nitpick like I am, staples on the outer edges work great. 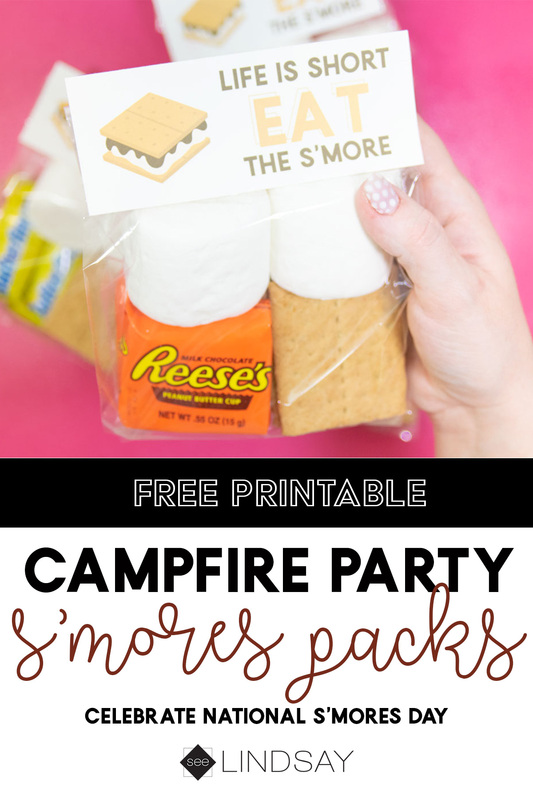 Just be sure to staple the bag and the free s’more printable together. Another great way is a stapler and some double-sided tape. Throw all your s’more ingredients into the bag and then staple the top. 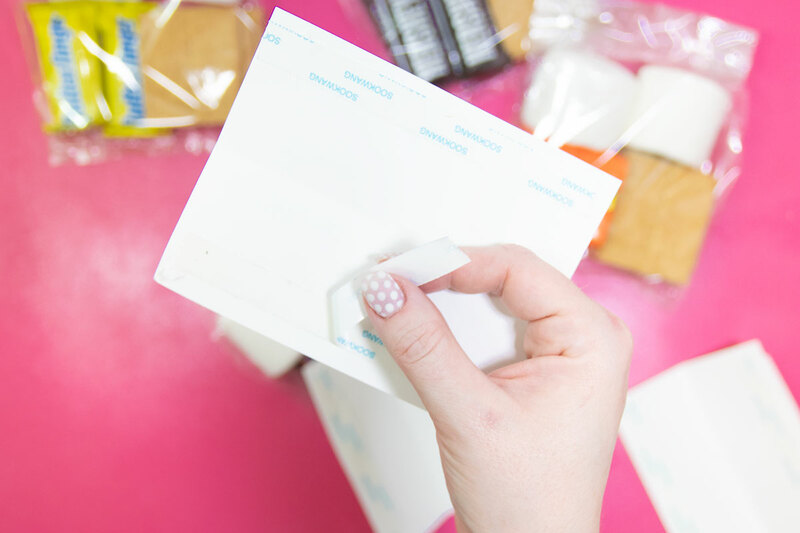 Next, grab some double sided tape and put it on the back of both sides of your s’more printable bag topper. Fold the bag topper over the bag and attach. It’s an easy way to get clean lines when you’re making a bunch of these. That’s it! So easy and such a fun way to personalize a campout. Check out the other bloggers joining us for Craft Lightning and what holidays they chose for their obscure holiday.